Kensington Palace says Prince Harry and his wife Meghan will be touring Australia this spring. 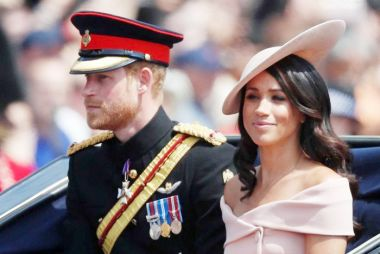 The Royal couple, now known as the Duke and Duchess of Sussex, will be making the tour, which also includes Fiji, Tonga and New Zealand, around the time of the Invictus Games in Sydney, which is set for October 20-27. Prime Minister Malcolm Turnbull said he welcomed this morning's announcement. "As the founder of the Invictus Games, the Duke of Sussex has become a champion for war veterans around the world, including in Australia. "His attendance, alongside the Duchess of Sussex, will be a wonderful highlight for the more than 500 competitors and thousands of spectators," Mr Turnbull said. "Lucy and I look forward to hosting their visit and watching the remarkable feats of Invictus athletes from around the world." On Saturday the Royal couple joined the pageantry of the annual Trooping the Colour ceremony in London. The event celebrates Queen Elizabeth's official birthday.